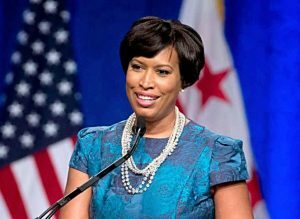 The residents of Washington, DC, our nation's capital, voted in their primary Tuesday -- ensuring continued Democratic rule of the District's government, while approving a major game-changer for the District's restaurant industry. Seats Up: elections for Mayor, Attorney General, City Council and Council Chair, Delegate to the US House of Representatives, Shadow Senator and Representative, DC Committee Members, Ballot Measure. As the Nation's capital, the residents of the District of Columbia do not have the same rights as other citizens of the United States. It is a special federal district under the jurisdiction of the US Congress -- which retains the right to review and overturn laws created by the council and intervene in local affairs. As it is not a state, it therefore does not have voting representation in Congress. 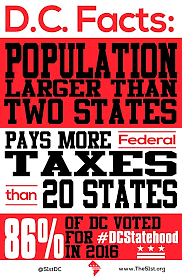 DC does, however, have three electoral votes in a presidential election. DC has had permanent, non-voting federal representation since 1970 when Walter Fauntroy was elected its Congressional "Delegate." The Representative is seated by the US Congress, may serve on committees, participate in debate, and introduce legislation, but cannot vote on the House floor -- a point of local and national contention for decades. 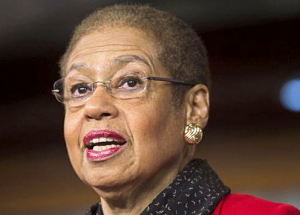 Separately, In a show of voting rights, DC ratified the election of "Shadow" Congresspersons from the District of Columbia under its "state" constitution in 1982. Since the act was not officially approved by the US government, however, the representatives are not officially sworn in or seated by Congress. The first Shadow Senators were Jesse Jackson and Florence Pendleton, elected in 1990. Highlights: In the true blue US Capitol City, where three-in-four registered voters are Democrats, the winners of the Democratic primary are all but guaranteed election in November. With all 143 precincts reporting, the reigning Democratic incumbents, from Mayor Muriel Browser to Council Members, swept their primary contests Tuesday. The key contest in Tuesday's primary was not one for elected office, but the battle over ballot Initiative 77 -- a controversial measure to eliminate the tipped minimum wage in favor of a one-wage system by 2026. The Initiative, which supported by labor unions and passed by a 10% margin, raises D.C.'s minimum wage from $11.50 to $15 per hour by 2020, raises the minimum wage in proportion to the Consumer Price Index by 2021, and raises the minimum wage for tipped workers by 2026 to be equal to that of other workers. The referendum, however, could still be repealed or amended by the City Council. The Mayor and many of the Council members, along with restaurant owners, are opposed to its enactment. Next Primaries: Colorado, Maryland, Oklahoma, Utah and New York (federal) on June 26th.